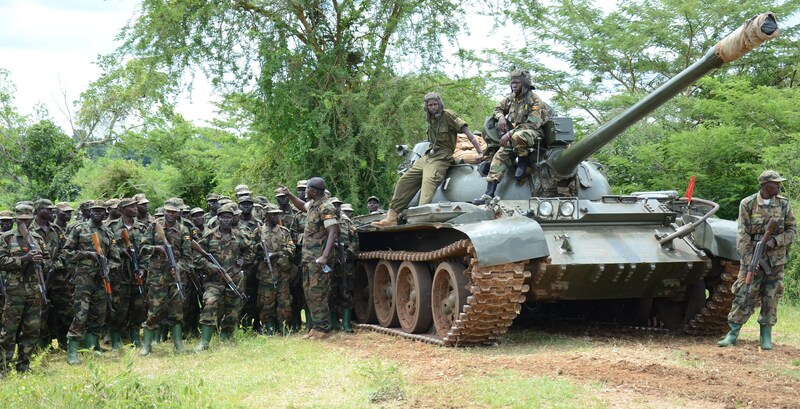 Uganda contributes the biggest percentage of troops to African Union Mission in Somalia (Amisom). 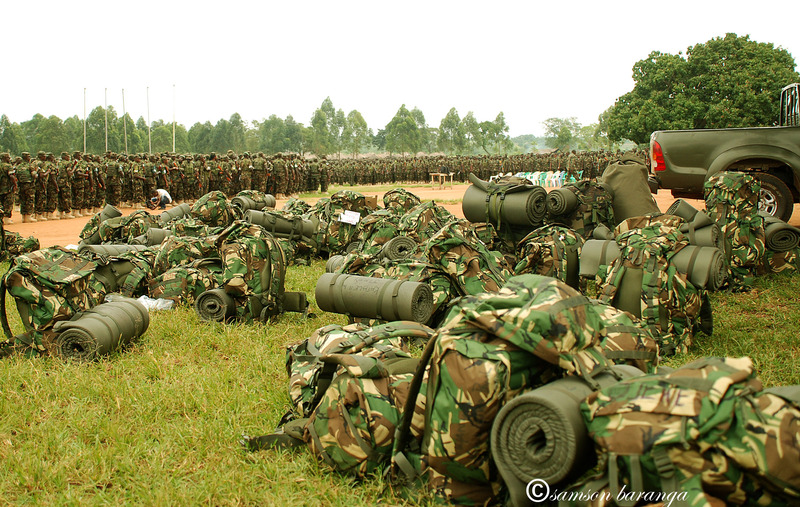 Uganda People’s Defence Forces (UPDF) went to Somalia in 2007 and contigent consists of 5,700 troops at any one time of the total 16,723. 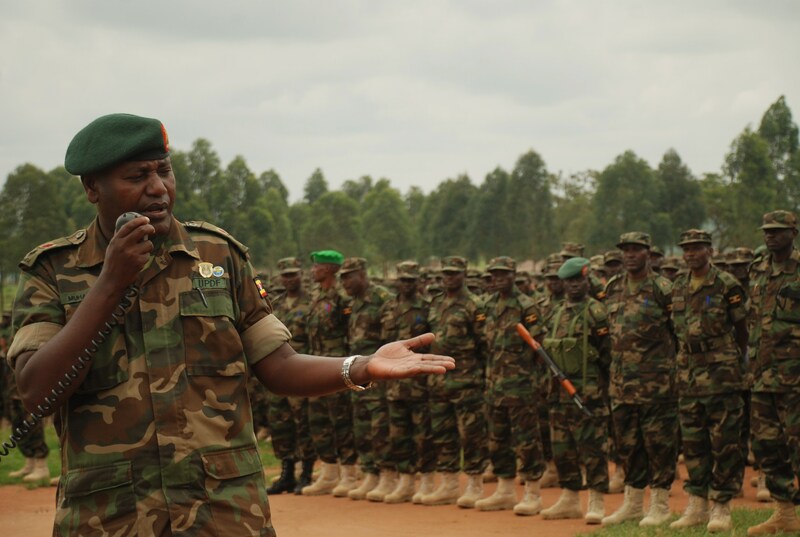 Uganda is highly credited for contributing towards the stability of the country in the Horn of Africa. 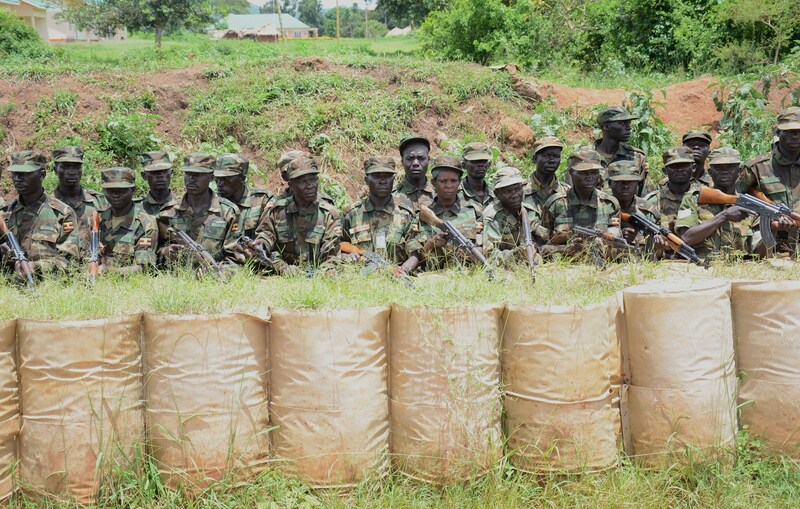 Uganda has a training base north of the capital Kampala known as the Peace Support Training Centre at Singo, in Nakaseke district. This post has been inspired by one of the photographers I look up. He an inspiration to me and its a pleasure to be working with him. This guy is Edward Echwalu. In his latest blog post 50 Tips for African Photographers he says, “Many have said it before me. Allow me repeat it too. No picture is worth your life. If it is dangerous, move away immediately.” And I totally agree with him. Live to take other photos than die or get injured for one picture. Part of the Ugandan contingent to African Union Mission In Somalia (AMISOM) at its final briefing before setting off for Somalia. Part of the Ugandan contingent to African Union Mission In Somalia (AMISOM) at its final briefing before setting off this evening (5th Sept 2012). 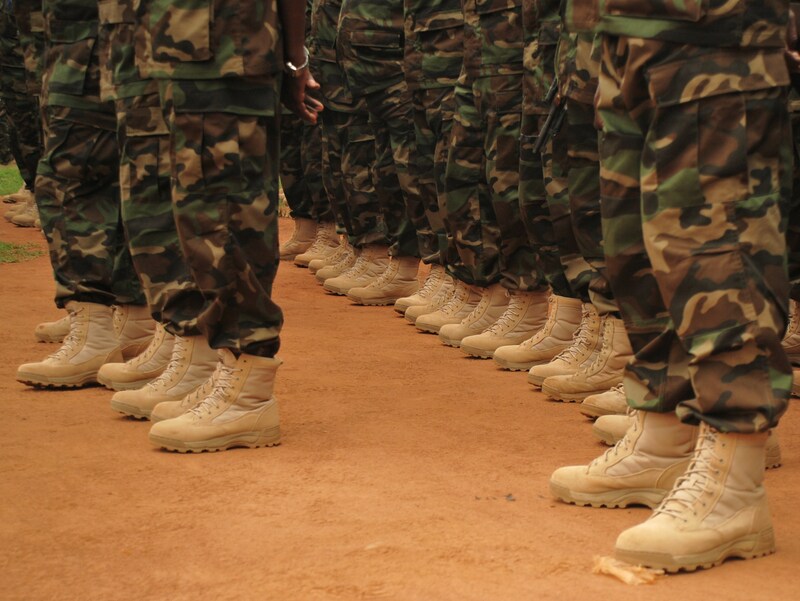 The AMISOM Military Component is the biggest of the three components of the AMISOM Mission (the others being Police and Civilian components). Roughly 6,000 peacekeepers are currently deployed with AMISOM out of a total authorized strength of 8,000.The biggest percentage of the troops is from Uganda and Burundi with Kenya coming on-board recently. The first batch of peacekeepers deployed in Mogadishu on 6 March 2007. The African Union Mission in Somalia (AMISOM) is an active, regional peacekeeping mission set up by the Peace and Security Council of the African Union, with the full support of the United Nations. 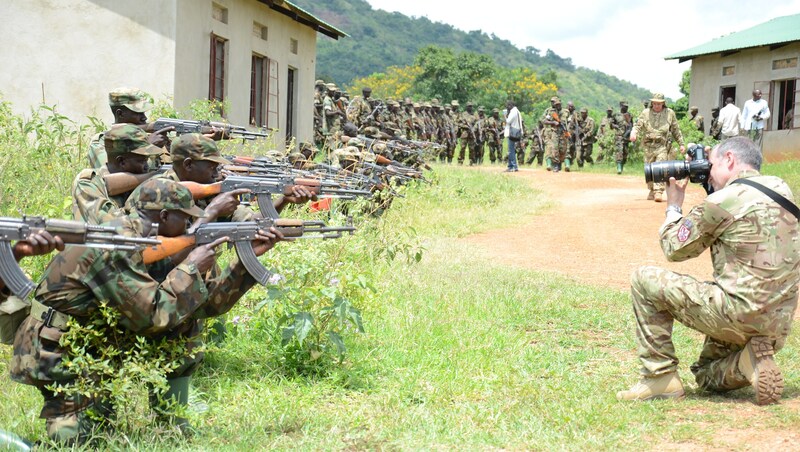 AMISOM replaced and subsumed the Inter-Governmental Authority on Development (IGAD) Peace Support Mission in Somalia or IGASOM, a proposed protection and training mission. AMISOM is mandated to conduct Peace Support Operations in Somalia to stabilize the situation in the country in order to create conditions for the conduct of Humanitarian activities and an immediate take over by the United Nations (UN). Support dialogue & reconciliation in Somalia, working with all stakeholders. Provide protection to Transitional Federal Institutions (TFIs) & key infrastructure to enable them carry out their functions. Assist in the implementation of the National Security Stabilization Programme (NSSP). 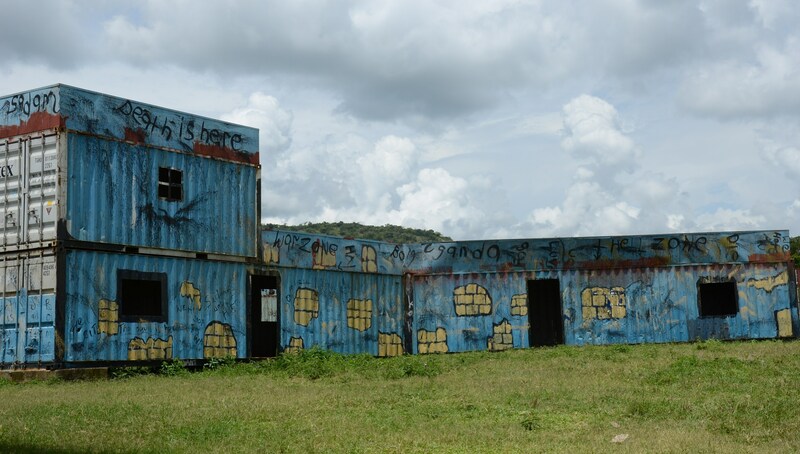 Provide technical assistance & other support to the disarmament and stabilization efforts. 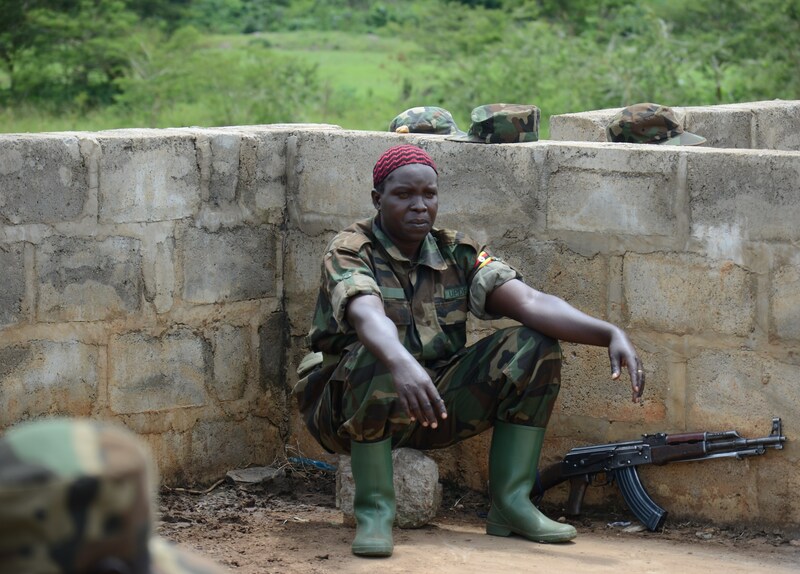 Monitor the security situation in areas of operation.